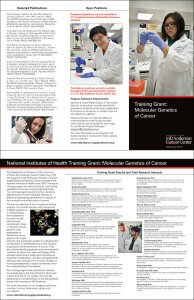 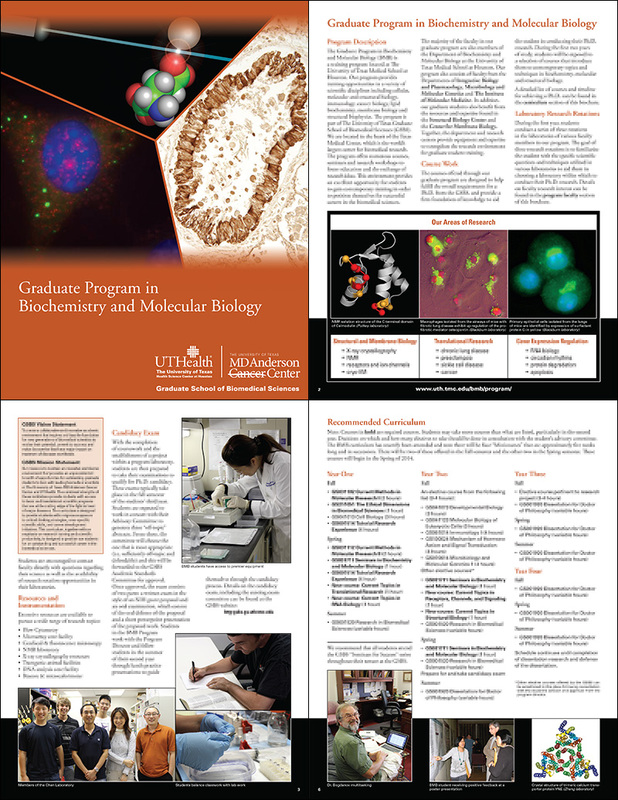 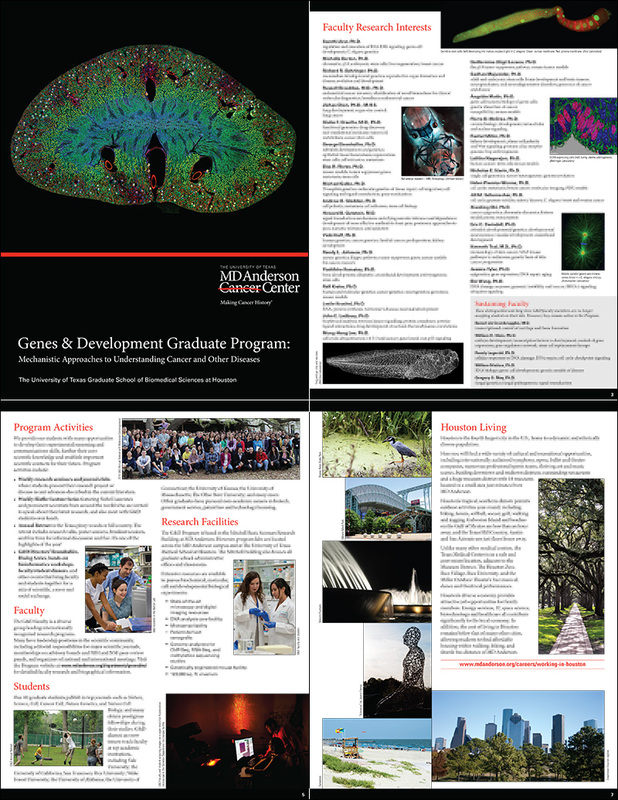 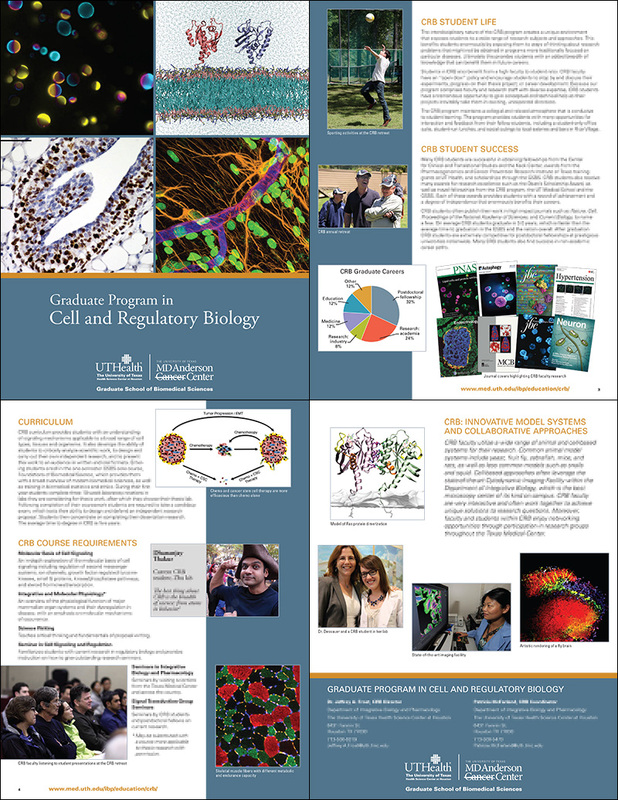 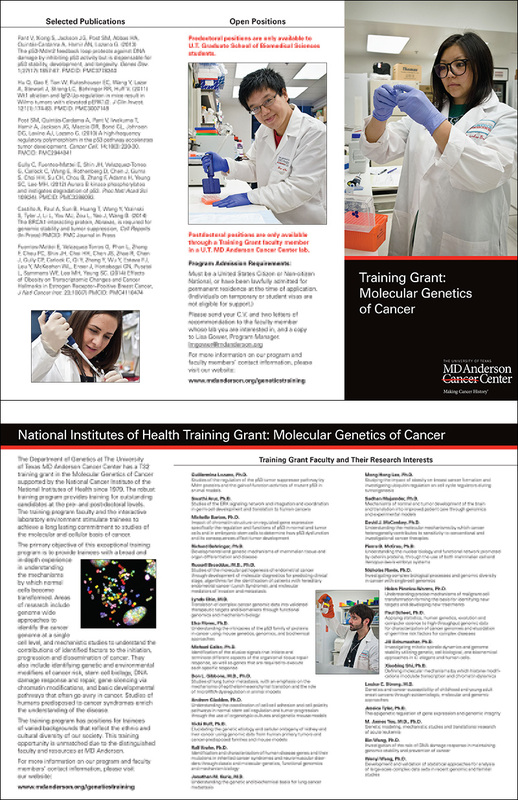 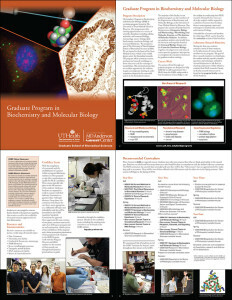 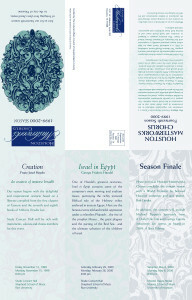 Basic trifold brochure, also for MD Anderson. 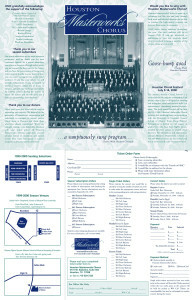 A 12-panel brochure for a local performing arts organization that folds down to a self-mailer. I used woodcut line art, screens and duotones for this two-color project.